Located in Osaka (Suminoe), La Mer - Hostel is within a 10-minute drive of Kagaya Ryokuchi and Konpeito Petit Museum. The front desk is staffed during limited hours. A train station pick-up service is provided at no charge, and self parking (subject to charges) is available onsite. 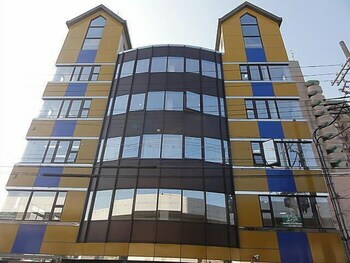 Located in Tokyo (Sumida), HOSTAL REPOSO HIKIFUNE LODGE is within a 10-minute drive of Tokyo Sky Tree and Asakusa Shrine. Featured amenities include luggage storage and laundry facilities. With a stay at Hotel Sanmalte in Hakuba, you'll be just steps from Hakuba Ski Area and Chokoku-ji Temple. Free self parking is available onsite.